A discarded syringe is left in an alley behind a dilapidated apartment building on South Grand Boulevard in St. Louis on Thursday, Feb. 9, 2017. A year earlier, heroin user Eric Bearden, 28, died of a heroin overdose inside the apartment building. 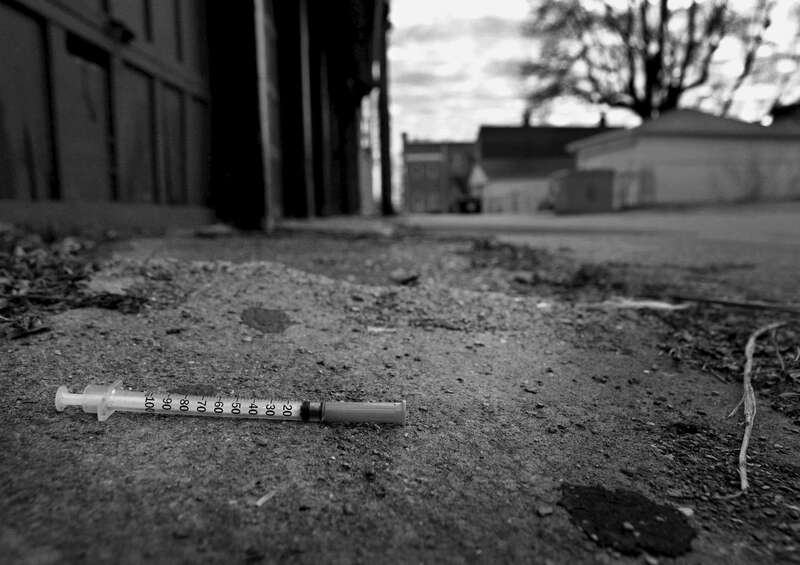 The alley is still known for it's drug use.